This Weeks Passage: 2 Grace and peace to you from God our Father and the Lord Jesus Christ. 3 Praise be to the God and Father of our Lord Jesus Christ, who has blessed us in the heavenly realms with every spiritual blessing in Christ. So much to ponder, so much to ponder. Paul begins his epistle (his salutation) in a similar way that he will later end his epistle – offering grace and peace to his readers. But it is not grace and peace from him, it is grace and peace from “God the Father and the Lord Jesus Christ.” He seems to be reminding them right off the bat about what God has done for them. Grace – This has to be one of the greatest words in the New Testament. God has offered us grace. This flies in the face of every other religion. So far as I know Christianity is the only faith where God takes the initiative and then does EVERYTHING needed to bridge the relational gap between God and man. Christianity is all about relationship not religion. And this is exactly what grace is all about. I have to be reminded of this constantly because I have a tendency to default into trying to earn favor with God by impressing Him with good works that I do. Apart from the amazing and abundant grace of God I would still be dead in my sins and separated from God. Peace – It is one thing to experience peace in this world and still another thing to be at peace with God. At one time their was a holy hatred that God had towards me – the Bible refers to this as His wrath. I was an object of God’s wrath because of my sin. But God took the initiative to reconcile our broken relationship – His wrath was propitiated (satisfied) by the death of His Son on the cross and peace was restored. And is a wonderful thing to not only experience peace with God but also to experience the peace of God. This has been a crazy 5 weeks for me and my family but because we have peace with God we have also known the peace of God. As Paul contemplated all that God had done for him by giving him His grace and peace, I have no doubt that he was overwhelmed and could not help but praise God: “Praise be to the God and Father…”. My prayer is that God would overwhelm me in the same way and that my life would more become a testimony of praise to the grace and peace of our great God. This is an excerpt from a post on Mark Batterson’s blog. Mark is the pastor of National Community Church in Washington, DC and one of my favorite authors. The Bible wasn’t meant to be read. It was meant to be prayed. Reading without praying is like eating without digesting. The nutrients aren’t absorbed the way they should be. The way you get the word into your heart, into your spirit is by praying it. Let me give you an example. This morning I was reading about “the circumcision of the heart” in Romans 2:29. The Holy Spirit stopped me in my tracks. I knew I needed tostop reading and start praying. I spent the next several minutes having a heart-to-heart with my Heavenly Father about some of my heart issues. The spiritual disciplines are more interrelated than what we realize. I used to think of reading Scripture and prayer as very different endeavors. In fact, I felt bad because it was easier for me to read Scripture than to pray. Then I read something from the Talmud that set me free. The Jewish Rabbis said, “An hour of study is as an hour of prayer.” That’s when I realized that reading Scripture can be a form of prayer. Many people don’t know where to begin when it comes to prayer. What do I say first? Here’s my advice: start with Scripture. Start reading and you’ll eventually come to something you need to talk with God about. Prayer isn’t a monologue where we outline our agenda for God. Prayer is a dialogue. Scripture is the way God speaks to us. Prayer is a the way we respond to it. And when you pray the word you can pray with holy confidence because God’s word does not return void. My Comments: I would just echo what Mark says. My best prayer times are when I am in dialogue with God using His Word – For me, when prayer is merely a monologue (me talking at Him) I tend to get bored as well as very easily distracted. But praying the Word takes intentionality – which means that it also takes time. But if you are struggling in your prayer life and feeling like you are not really connecting with God then pull out your Bible and start praying. Prayer becomes intensely intimate when you stop the one-sided conversations and start giving God a chance to get a word in edgewise. One of the first things I remember learning about understanding Scripture is this: before you can know what a passage means you have to know what it meant. To translate in our context here – in order to understand what Ephesians means to us and apply it effectively to our lives, we have to understand what it meant when Paul wrote it to the Ephesians. In order to do this we have to understand as much as we can about who the Ephesians were and what their culture and context was. That is why I focused my pondering this week on 2 words: “in Ephesus”. In this post I’m going to try to give us a glimpse into who these people were and what their city was like. Ephesus was one of the most important cities in the Roman Empire – second only to Rome. It had as many as 250,000 people living there which made it one of the largest cities in the Mediterranean world. It was also a major trade center. As a port city it was the center of trade between Asia Minor and Italy. Because of the aristocracy that lived in Ephesus and governed the city there was a lot of wealth . But there was also a lot of slavery. It had a huge open air theater, which was capable of holding 25,000 spectators which was used initially for drama, but during later Roman times hosted gladiatorial combats on its stage. Ephesians is one of Paul’s prison epistles – written around A.D. 62 while he was under house arrest in Rome (Acts 28:16). Ephesus was a city with a culture and spiritual climate that was not unlike our own today. Prosperous, cultured, and full of idol worship. This is why I think there is so much that we can learn from these 6 chapters. Verse 1 is a verse that often gets overlooked. There was so much that could have been pondered and that I hope many of you did. (If so I hope you will take the time to share some of your thoughts.) For example, here are some of the other ponderable questions: 1) Who is Paul and what was going on in his life as he wrote? 2) What is an apostle? 3) How did Paul know that it was God’s will for him to be an apostle? 4) What is a saint? 5) Why did Paul consider the Ephesian saints to be faithful? As you read through the book this past week you probably noticed that the first 3 chapters are largely doctrinal in nature and the last 3 chapters are primarily application oriented. As we work our way through the book this year don’t be fooled into thinking that this book is so familiar that nothing will be gained. My guess is that many of us have read it but never really pondered it. As I read through it I began to get excited about pondering a bunch of the passages – some of which are months away from getting to. My hope is that this book will not just become more familiar to us this year but that as God’s Word it will begin to dwell in us, take root in us, and transform us. 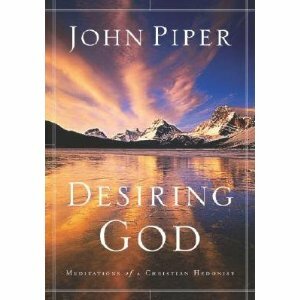 These excerpts are found from chapter 6 of John Piper’s book Desiring God – one of the most influential books that I have ever read. God aims to exalt himself by working for those who wait for him. Prayer is the essential activity of waiting for God: acknowledging our helplessness and his power, calling upon him for help, seeking his counsel. So it is evident why prayer is so often commanded by God, since his purpose in the world is to be exalted for his mercy. Prayer is the antidote for the disease of self-confidence that opposes God’s goal of getting glory by working for those who wait for him…. The folly of not waiting for God is that we forfeit the blessing of having God work for us. The evil of not waiting for God is that we oppose God’s will to exalt himself in mercy…. I close this chapter with an earnest exhortation. Unless I’m badly mistaken, one of the main reasons so many of God’s children don’t have a significant life of prayer is not so much that we don’t want to, but that we don’t plan to. If you want to take a four-week vacation, you don’t just get up one summer morning and say, “Hey, let’s go today!” You won’t have anything ready. You won’t know where to go. Nothing has been planned. Therefore, my simple exhortation is this: Let us take time this very day to rethink our priorities and how prayer fits in. Make some new resolve. Try some new venture with God. Set a time. Set a place. Choose a portion of Scripture to guide you. Don’t be tyrannized by the press of busy days. We all need mid-course corrections. Make this a day of turning to prayer-for the glory of God and for the fullness of your joy. My comments: The 3rd quote above underscores the difference between our faith and all other faiths. It is God who works for us , not the other way around. And if I can understand this when it comes not just in regard to salvation but also to prayer – that God is waiting for me to wait on Him so that He can go to work for me, then it ought to change the way that I pray. And then to understand that it is not just folly but evil when I rob God of glory by not allowing Him to exalt Himself by working on my behalf – again helps me to grasp why I need to pray more than I do. I don’t want to be a glory thief. In regard to Piper’s last remarks, I realize I plan everything about my life EXCEPT prayer. So I’m developing a plan. You can ask me about it if you want to. And I’d love to hear what your plan is as well. At least initially, serious prayer is almost always driven by necessity. We don’t pray because we ought, we pray because we are without any other recourse. I think God likes to see His people coming to Him in desperation and casting themselves upon His mercy! Could it be that one reason we have great problems is that God wants to show us great solutions? He longs to show us the riches of His grace and the poverty of our own resources. Prayer is uniquely designed to demonstrate both truths. I really relate to his statement that “prayer is stupid when viewed in the purely human realm.” But I am finding that more often than I’d like to admit that life is not in my control and I NEED to cling desperately to Him not just to survive whatever life throws at me but to thrive in the midst of it. I hate the fact that I am so hard headed and hard-hearted that God has to use crisis to teach me how to pray but I’m grateful that He is not willing to give up on me and will do what it takes to bring about transformation in my life. So, for all of you hung with me through 2011 and pondered all the passages with me – here is my plan for 2012. It is two-fold and I invite you to be a part of however much you are so inclined to join me on. 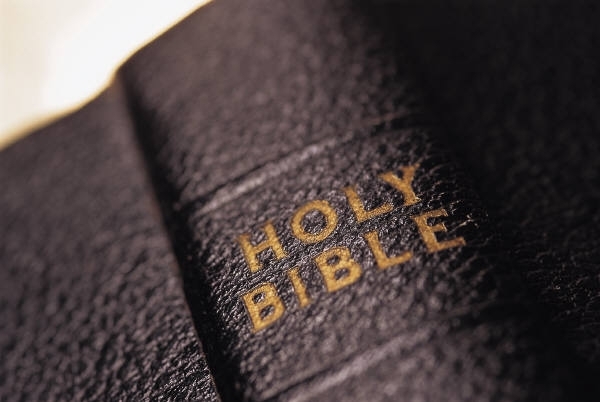 1) Pondering – I had a great time last year pondering great passages of the New Testament. For this year my plan is to ponder my way through the book of Ephesians. As I have mapped it out it looks like it will take pretty much the whole year to do this. Some weeks we will look at just 1-2 verses and some weeks we will look at as many as 5-6 verses. This is a very rich book that is FULL of both deep theology and great practical application. I’m very much looking forward to mining it for all it’s worth. I will also include a Scripture memory part of the pondering with the hope of memorizing several chapters before the end of the year. If you are new to this and want to join me on the adventure then you might check out my post from last year on “How to Ponder a Passage”. I will post my pondering thoughts on Friday mornings (last year it was Thursdays). My first post will be next Friday, January 20. Between now and then the assignment is this: Read through the book of Ephesians in one sitting (to get a feel for the book as a whole) and then ponder Ephesians 1:1 and begin memorizing it. These posts should show up on Facebook and Twitter (@sreyner) but you might also want to click on the email subscription button if you want to get notifications in your inbox when I post. 2) Praying – I am adding a prayer component this year mostly because I need to learn how to pray effectively. Each week I will post a quote or paragraph from someone who is mentoring me in prayer – usually an author or pastor. Often it may be no more than this but sometimes I may comment on the quote with a few thoughts. Hopefully the encouragement I receive from these pray-ers will spur me to a deeper walk with God as I learn to better communicate with Him. My plan is to post these on Wednesdays – the first one should show up this Wednesday, January 11. Maybe they will be an encouragement to you as well. This much I know – 2012 has the potential to be a year wrought with the miraculous as His Spirit is unleashed to work in ways that I have not allowed Him to in the past. Pray for me that I will be teachable and hungry as I ponder and pray. A better understanding of and compassion towards pain and suffering– I am the first to admit that I have lived an incredibly blessed life. There has been minimal pain and suffering that me or my family has had to deal with. The occasional medical issue and some family deaths but nothing that I would consider chronic or tragic respectively. My general mantras have been “it’s a great day to be alive” and “life is good”! Both still true. But now I see through different colored glasses. I’m hoping this whole ordeal will be used by God to make me more compassionate as others endure personal pain and suffering as well as a better pastor and preacher as I better understand what people are going through physically and emotionally. 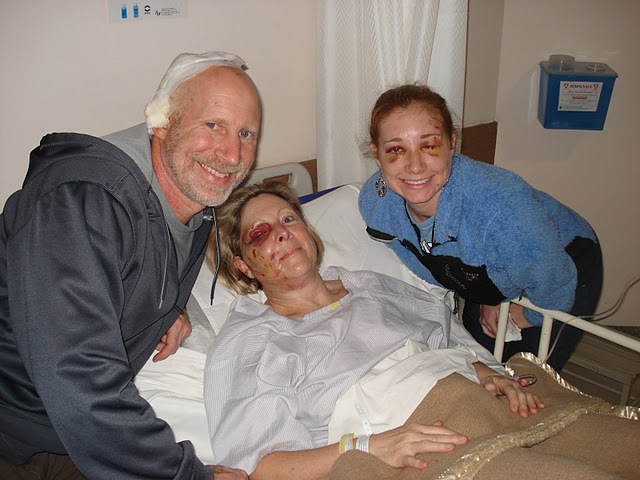 An appreciation for notes and prayers – It really meant a lot to us as people read about our accident when they responded with a short note of encouragement or a reminder that they were praying for us. I have not been very good at this, but seeing how much it meant to me I hope to do a beter job in the future. For those of you who took the time to comment or let us know that you were praying – thank you very much for lifting us up when we were in such a time of need. The desperate need for prayer for those serving overseas – We are in a spiritual battle. I know that. But it has been more of a mental assent than something I have experienced first hand. No longer the case. I felt the unseen hand of the forces of darkness attempt to drag us toward death and destruction. And we were only there for a day. One of the last things that the prophet Samuel said to the people of Israel was “Far be it from me that I should sin against the Lord by failing to pray for you.” A different context to be sure, but the sentiment is the same. It behooves me and it behooves us as a church to pray hard and to pray with passionate desperation for those who are serving in the dark places around the globe. 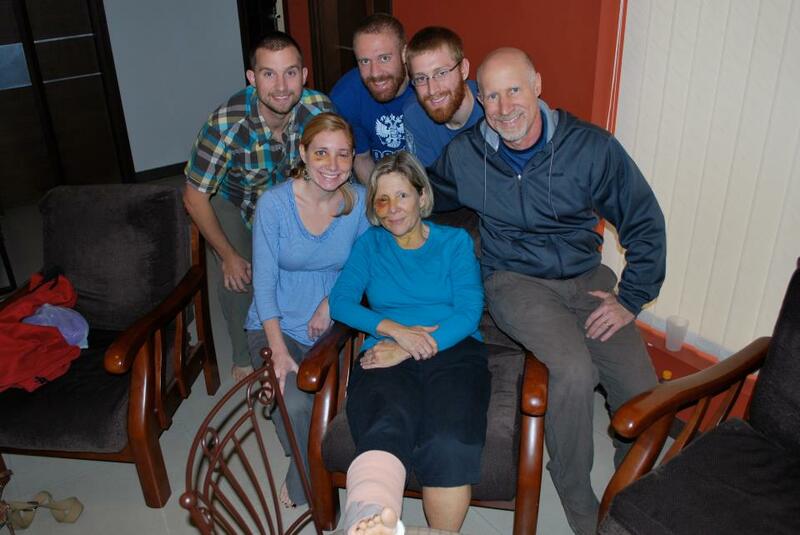 For Christy and Chad and Amy and their team, for Jason and Charity and the Holloways, for Tyler and Erin Boone, for Craig and Charity Phelps, for Roger and Vicki Grossman, for Andrea and Jim Zvara, and for other friends who are seeking to advance the gospel where the gospel has no root – please pray! They need it more than I have ever understood. And let them know that you are holding the ropes for them. I find that I cry a lot these days! Not weepy cries ( though I have had a few of those) but mostly teary cries – the kind that creep up on you and take you by surprise. It would seem that this accident we had has unclogged my emotional faucet. I’m sad that my wife has to go through all that she is dealing with. I’m sad that my daughter had to have 2 sets of stitches in her eye lid. I’m sad that we didn’t get to spend another week with Christy and Chad. I’m sad that we didn’t get to hang out in Indore where they live. I’m sad that we didn’t get to know their team which they love so much. I’m sad that we didn’t get to go to Thailand.But not all of the cries are sad cries. I’m glad that we are still alive. I’m glad that we we all be okay and back to normal in a few months. I’m glad that our family got to spend time together and make some memories. I’m glad that our sons are such fine young men and willing to be servants while we recuperate. I’m glad that God is in control… always. I’m glad that His joy is our strength… always. I’m glad to have such good friends and family who have cared for us so much. For the last few weeks I’ve been processing what happened. It is not at all like I had scripted our vacation. And yet I am convinced that God is up to something. It may be years before I understand why things happened the way that they did, but here are a few things I have already learned. The power of the supernatural – I take full responsibility for the accident. I was driving the scooter. I was in control. And yet I wasn’t. I have no reasonable explanation for why we crashed. One second we were in the middle of the road cruising along just fine and the next we were smashing into the median wall. Here is what it felt like to me. I felt the bike starting to pull hard to the right. It was as if an unseen hand had lassoed the bike and was pulling it toward the wall – and there was nothing I could do about it. This is not an excuse to help me feel better about what happened it is just what it felt like to me. I had several people who live in Indore tell me that the city is a “dark” place. I’m convinced that there was something supernatural going on. But what was meant to destroy will ultimately result in glory for God. One choice has a multitude of consequences – We had a choice. Take a taxi or take the scooter. I made my case for the scooter and we know how that turned out. If we had taken the taxi things may have turned out quite differently. A choice. We make lots of choices everyday. I’ve been reminded how devastating one bad choice can be. And I am fully aware that bad things happen to people and that sometimes things happen that we have no control over. But a Scripture that comes to mind is this: “Be very careful how you live, not as unwise but as wise..” Ephesians 5:15. Stupid choices have broad consequences. As a friend of mine says to his kids every time they walk out the door of the house, “Don’t do anything stupid!” For Scripture also says, “You reap what you sow.” Things could have ended up a whole lot worse for us. But what we are enduring now all began with a choice. Make the most of every opportunity – If you continue reading Ephesians 5:15 it goes on to say, “…making the most of every opportunity because the days are evil.” As I was being wheeled into surgery to repair my damaged ear this is what was going through my head: Make the most of every opportunity! Make the most of every opportunity! When the plastic surgeon asked how I was doing I asked him if it would be okay if I prayed for him. I’m pretty sure this caught him by surprise. He was Hindu and I would be surprised if anyone had ever asked him this before. When I finished praying I told him thanks and he said “I should be the one thanking you.” The next morning as we were flying to Delhi I sat next to a man and his daughter – also Hindu. I really didn’t feel much like talking but again I heard in my head, “Make the most of every opportunity.” So for an hour I engaged him in conversation about what he believed as a Hindu. He ended up giving me his card and saying if there was anything he could to help with anything then let him know. When I showed Chad the card, he recognized the man as a member of one of the unreached peoples that their team in India is trying to engage. I’m hoping that our brief conversation will result in a connection that allow for the advance of the gospel. Make the most of every opportunity! I have several more lessons – but so that this post isn’t uberlong I will wait and post them in a day or so.